The existence of a robust relationship between SW activity and increased GH release raised the possibility that compounds that increase slow-wave sleep may also be GH secretagogs. Commercially available hypnotics tend to inhibit, rather than increase, SW sleep and do not stimulate GH release (47-49). 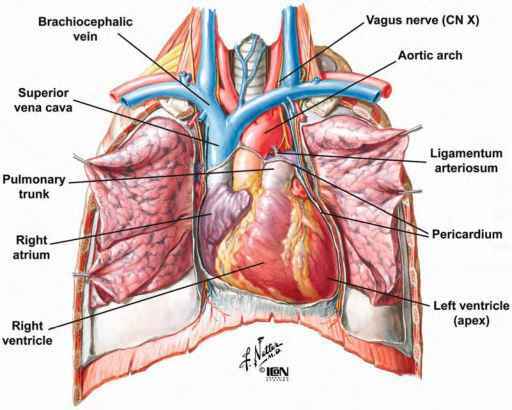 However, reliable stimulation of SW sleep in normal subjects has been obtained with oral administration of low doses of gamma-hydroxybutyrate (GHB), a simple four carbon fatty acid that is used as an investigational drug for the treatment of narcolepsy (50-55) as well as with ritanserin, a selective 5HT2 receptor antagonist. Fig. 5. Profiles of GH secretory rate and delta power in a representative subject after oral administration of placebo (left) or 3 g GHB (right). Data source: ref. 59.
onset, rather than from the induction of additional pulses. The increase in GH secretion was only initiated after the first epoch of stage II sleep had been recorded and was quantitatively correlated with an increase in amount of stage IV during early sleep (59). 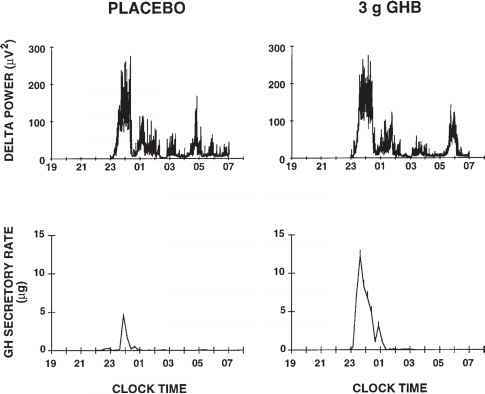 Representative examples of the profiles of delta power and GH release following bedtime administration of either placebo or 3 g GHB are shown in Fig. 5. Administration of the selective 5HT2 receptor antagonist, ritanserin, was also found to result in parallel and highly correlated increases between delta wave activity and nocturnal GH release (40). The stimulation of delta power and GH secretion obtained by ritanserin is of a lesser magnitude than that observed following treatment with low clinical dosages of GHB. Conversely, the reduction of slow wave sleep and delta power observed following flumazenil, a benzodiazepine antagonist, was found to be associated with a decrease in GH concentration (28).